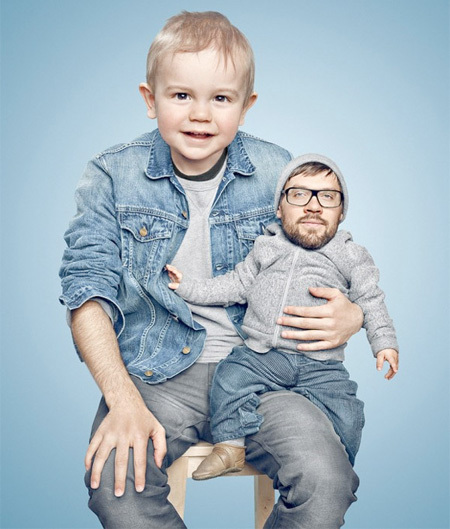 Series of creative and somewhat disturbing photo manipulations shows us what would happen if parents switched heads with their kids. 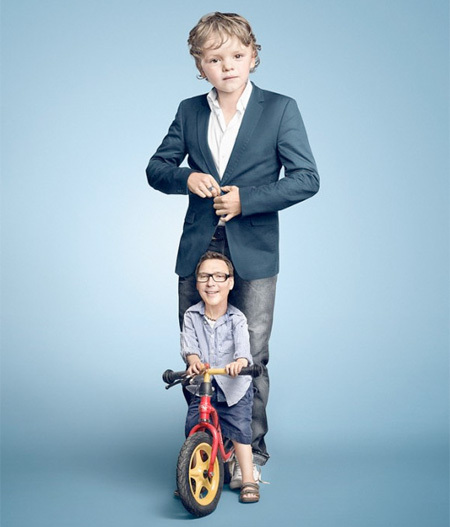 These fun and clever images of Kindskoepfe (“Grown Ups”) were created by Florian Schmucker, Paul Ripke, and POP post production studio. The oontz was doing this last year. Still so good though n well done here. Gee, baby faces make great looking adults! Idea has been done for years. But I can appreciate the extra photoshop effort put into these. I thought I would be disturbed by them, but no they were actually very well done. nooooo way Till B. You’re a genius how did you find it out? These are fake?! These aren’t fake. Gotta love the smoking prostitute smurfette t-shirt in pic 3! What a bad baby for donning that kind of apparel! Lol! Funny pix and good blending for the neck connection! In Roman mass production statuary, heads used to be sculpted separately and then fitted to the appropriate body (that of a priest, a general, a patrician etc). So, are we dealing with an evocation of this ancient practice or with just another freakish perversion? Great Idea and very funny photos!